(JTA) – Democrats took control of the House of Representatives in the midterm elections held Tuesday, with Jewish Congress members poised to take key leadership roles. Republicans looked to increase their majority in the Senate. Democrat Jared Polis will be the first Jewish and first gay governor of Colorado, and J.B. Pritzker, a Jewish Democrat, will be the next governor of Illinois. And two Jewish military veterans won upset Democratic victories in House races: Max Rose in New York and Elaine Luria in Virginia. In the Senate, U.S. Rep. Jacky Rosen, a Democrat and a former synagogue president, defeated the incumbent Republican, Dean Heller. In Michigan, Rashida Tlaib, a Palestinian-American, handily won her race in District 13. Tlaib favors a one-state solution to the Israeli-Palestinian conflict and has opposed U.S. aid to Israel. She will also be one of the first Muslim women in Congress, along with Ilhan Omar, who won in Minnesota. Michigan Democrat Elissa Slotkin, who was raised on a farm and worked for the CIA, edged Rep. Mike Bishop by a 49-48 percent margin to win a seat that had been considered a lock for the Republicans. Bishop conceded in a phone call at about 1 a.m. The two Democratic military veterans flipped Republican districts. Rose, 31, who won medals for his service as an Army officer in Afghanistan, unseated Republican Rep. Dan Donovan in the New York City borough of Staten Island. Luria, a Jewish former Navy commander, won her race in a coastal Virginia district that encompasses the Norfolk U.S. Navy base. She once organized a Passover seder on an aircraft carrier. In Washington state, the votes in the race between Democrat Kim Schrier, a Jewish pediatrician, and Republican Dino Rossi were still being counted on Wednesday morning. With 64 percent of the vote counted, Schrier was leading 52.9 percent to 47.1 percent to fill the seat of retiring Republican Rep. Dave Reichert. Schrier has said she was partly inspired to run after seeing the 2017 neo-Nazi rally in Charlottesville, Virginia. Arthur Jones, the neo-Nazi who won the Republican nomination on Chicago’s South Side, lost his race, as expected. He had won his nomination unopposed and was repudiated by his party, but still managed some 30,000 votes. And Steve King, the Iowa Republican who has made headlines recently for his associations with and support of white supremacists, won re-election in a close race. The National Republican Campaign Committee had said it would not support him. Sen. Robert Menendez of New Jersey, a Democratic pro-Israel stalwart, beat back a challenge from businessman Bob Hugin. Menendez voted against the 2015 agreement on Iran’s nuclear program, going against President Barack Obama and his own party. Menendez had been hampered by a corruption trial that ended in mistrial last year. For Rosen, a former software developer, her only elective experience prior to winning her House seat was as president of Ner Tamid, a Reform synagogue in suburban Las Vegas. 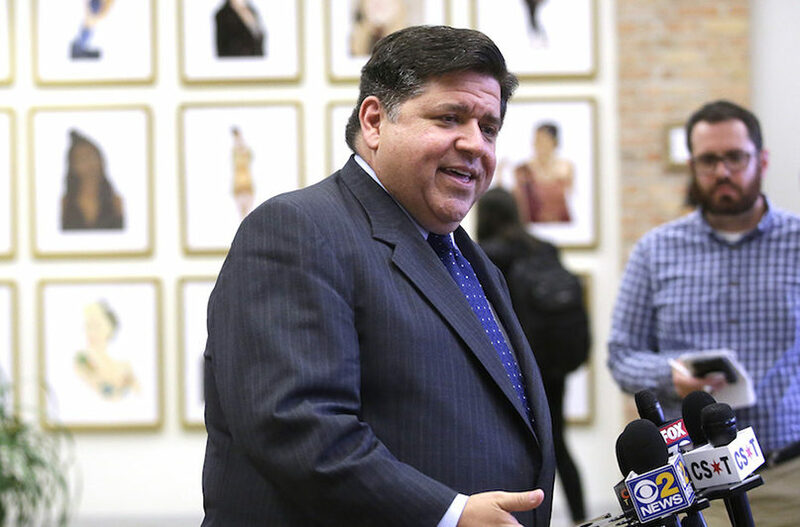 Pritzker, a centrist Democrat and a billionaire venture capitalist, won the governor’s race in Illinois, unseating Republican Bruce Rauner. Polis, 42, a former tech mogul, will succeed John Hickenlooper as governor of Colorado. His campaign has focused on renewable energy, education and income inequality. In Florida, Republican Ron DeSantis narrowly beat Democrat Andrew Gillum for the governorship. DeSantis, a close ally of Trump, was a leading voice urging the president to move the U.S. Embassy in Israel to Jerusalem. He also accused Gillum of being anti-Israel – a charge Gillum denied – and Israel featured prominently in one of their debates. An anti-Semitic group also ran a robocall on behalf of DeSantis, which he denounced.